I feel like this week has revolved around Little M’s sleep. She’s teething, so that’s bound to upset things, but there hasn’t been the usual screaming/crying that you’d expect from a teething baby. She’s just got herself into a ridiculous cycle of being completely cream crackered by 5pm when we’re sitting down to dinner, then falling asleep really quickly after her bath so she’s down in her Snüzpod before seven thirty. Wondering what I’m complaining about? Well she’s invariably wide awake within an hour and doesn’t go back to sleep until between 11pm and midnight. She then sleeps through until 9, 10 or even 11am, so I can’t complain too much, but that then messes up the whole day as she naps once or maybe twice for around 30 minutes before starting the whole cycle again. As a result, I’ve been trying to wake her earlier in the morning so she can actually have breakfast instead of sleeping through it, then try to orchestrate ways to make her sleep. One thing that seems to be quite successful is taking her for a walk. Unfortunately, she usually spends the first 45 minutes of the walk wide awake, before falling asleep just around the corner from home. 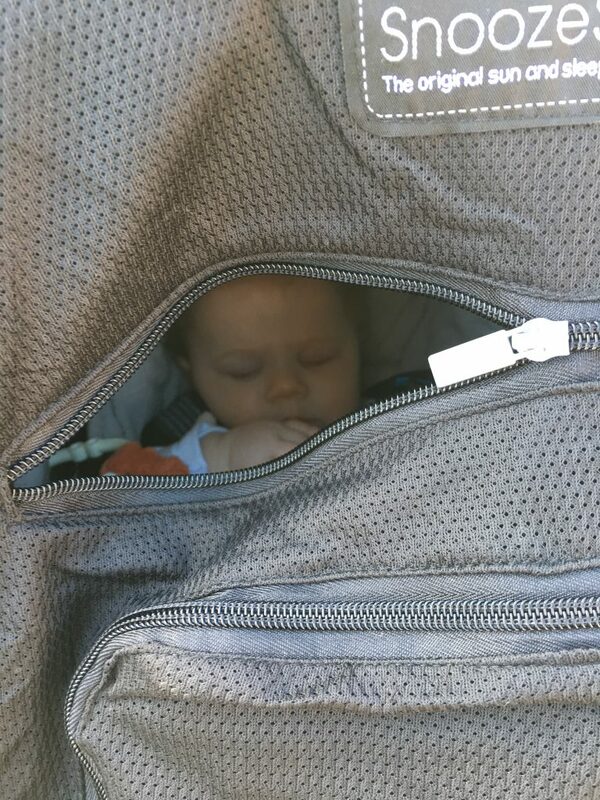 So today’s Living Arrows photograph had to be of Little M fast asleep in her pram, shrouded by the SnoozeShade. It feels a bit mean covering her pushchair so she can’t see out, but honestly it’s been a godsend in terms of getting her to have a nap during the day! Plus, she loves being inside it. She giggles away when it first goes on, especially as I’m a bit obsessive about peering in the zipped opening to see if she’s okay. Little M obviously considers it to be a highly elaborate game of peekaboo! Once we get going though, she’s usually asleep within 10 to 15 minutes. So I walk for the remainder of an hour before bringing her home. I read somewhere that baby naps are only effective if they last at least 40 minutes. Don’t ask me where I read it; I can’t remember. It was back in the majorly sleep-deprived days when we were desperately googling any articles on ‘how to make your newborn sleep’ at 3am. Some random ‘sleep expert’ probably made it up, but it’s stuck with me so naturally I obsess about the length of Little M’s naps, much like I obsess about everything else! You can imagine how disappointed I am when she wakes up after 35. I ended up driving around south Norfolk for nearly an hour after Tiny Talk last week because she fell asleep just as I pulled into our road. 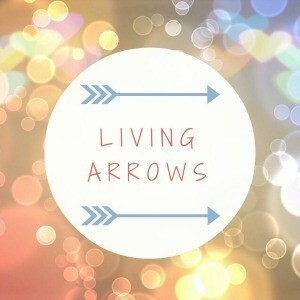 Anyway, I’m not sure I’m supposed to write a whole great long post about my nap obsessions for Living Arrows, but there it is! Doesn’t Little M look cute all bundled up in there? In case you’re wondering, my nap experimentation has had little to no impact on the time Little M is falling asleep at night. Feel free to offer any advice, or even better, send cake. "Meet the Parents – Advice for New Mummies and Daddies from A Slice of My Life Wales"
"The first drop of formula…"
Thank you. Poor little thing is crying in her sleep next to me now! Her sleep is steadily improving though. We love the Snoozeshade!